That record laid some of the groundwork for Painting of a Panic Attack, the band’s fifth LP, but even a cursory glance at the details behind the making of the album offers compelling evidence that it wasn’t the only factor in helping the Scots to rediscover their joie de vivre. Aaron Dessner, of the band’s heroes and one-time tourmates The National, took on production duties. Guitarist Gordon Skene has been replaced by Simon Liddell, with the switch tactfully described by Hutchison as “a better fit, personality-wise”. 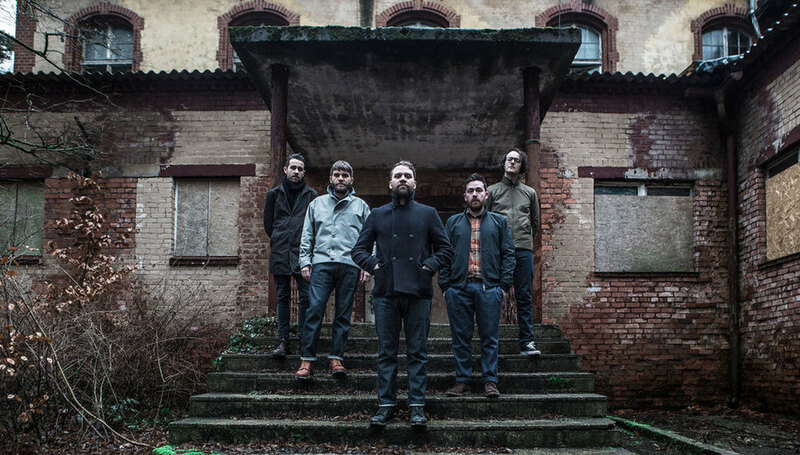 The group seem to have afforded themselves the luxury of time more readily, too; this is the longest gap there’s ever been between Frightened Rabbit records, even if their post-Verse break only lasted a matter of months. In practical terms, too, it meant that Painting of a Panic Attack ended up being written in fits and starts - Hutchison describes it as “such a mongrel of a record.” The kernels of a handful of tracks came out of the very first session together - ‘I Wish I Was Sober’ and ‘Lump Street’ among them - before Hutchison returned to California and attempted to work from there, with ideas exchanged by email between LA and Scotland, where the rest of the group continued to write without him. When Pedestrian Verse was released, three years ago, Hutchison talked about the misstep he felt he’d made on their previous full-length, The Winter of Mixed Drinks; after realising that he suddenly had an audience and a platform, following the breakout success of The Midnight Organ Fight in 2008, he became a little bit more reticent in his approach to writing, tempering his predisposition for the intensely personal. He reversed that change on Verse - after all, it was the intimate details that the fans had connected with in the first place - but when he began to gravitate towards it again in the early stages of writing this album, the transatlantic nature of the process helped his bandmates steer him back on course.